Starlet explores the unlikely friendship between 21 year-old aspiring actress Jane (Dree Hemingway) and elderly widow Sadie (Besedka Johnson) after their worlds collide in California’s San Fernando Valley. Jane spends her time getting high with her dysfunctional roommates and taking care of her chihuahua Starlet, while Sadie passes her days alone, tending to her garden. After a confrontation at a yard sale, Jane finds something unexpected in a relic from Sadie’s past. Her curiosity piqued, she tries to befriend the caustic older woman. Secrets emerge as their relationship grows, revealing that nothing is ever as it seems. 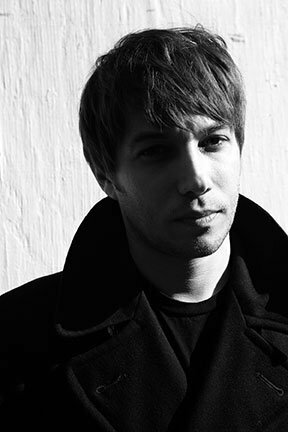 Director Sean Baker continues in the naturalistic style of his previous films, the Spirit Award nominated Prince of Broadway and Take Out, capturing the rhythms of everyday life with a rare authenticity. Featuring exceptional debut performances by Dree Hemingway (great granddaughter of Ernest and daughter of Mariel) and 85 year-old Besedka Johnson, who received a Special Jury Recognition at SxSW, Starlet is at once provocative, haunting, unpredictable, and surprisingly sweet. "What stays with you is that there's a genuineness and complexity of their connection." "It's a hushed marvel of a movie." Critic’s Pick! “A thrillingly, unexpectedly good American movie." "One of the year's most arresting, heartfelt indies." "An emphatic, absorbing tale of the old and the beautiful." "STARLET represents a welcome throwback to the smoggy West Coast character studies of the 1970s." "STARLET is refreshingly unsentimental in its depiction of both youth and age." "A poetic meditation on loneliness and friendship."